Around 20 patients have been cured of their spinal abnormalities with the help a new navigation system introduced by a leading private hospital here. The ‘O-arm S8’, initiated by AMRI Hospitals, Mukundapur, is a 3-D surgical imaging equipment and navigation system for precision-based spine and neurosurgery. 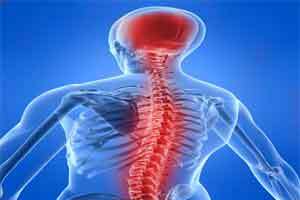 “It is the most advanced equipment in spine surgeries. It is customised to for the benefit of both patients and the surgeons,” AMRI Hospitals Group CEO Rupak Barua said today. Patients will have minimal incision surgery through this navigation system, which will reduce hospital stay along with minimal blood loss and post-operative pain, leading to quicker recovery time, said Sisir Das, HOD, Neurosurgery at AMRI Hospitals. “With this new technology, the risk of tissue damage is much more controlled, as well as a patient has the maximum limited risk of after-operative infection,” he added.